Fed up with poring over ads, filling out applications, and being screened and tested multiple times? Certified Staffing Specialists Inc. can help. We are Chicago’s source for top jobs. Plus you only have to apply to one company – us! Why Use Certified Staffing Specialists Inc.? Access to top level job opportunities that aren’t advertised. 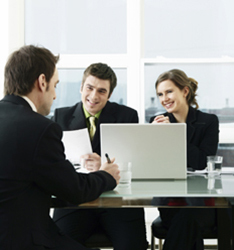 A team of staffing experts who have relationships with Chicago’s best employers. Temporary assignments for extra income, or full-time, permanent positions. Your choice in hours, job location, industry, and size of company. Career path planning with an industry consultant. Email or call us and request an application. One of our Recruiters will review your application. We will contact you right away if your skills match what our clients are looking for. Whether you are looking for a temporary, temp-to-hire or direct hire option, Certified Staffing Specialists Inc. has the solution.